Prior to joining WM Shirley, Karen developed her skills during a 16 year (1980-1996) career with Deloitte. While in Accounting and Human Resources, her responsibilities included: Placement/Outsourcing, Alumni Relations, Hiring, Payroll and Human Resources Compliance Issues. 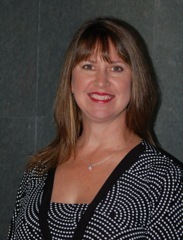 She has been with WM Shirley since 1996, and manages all the candidates and clients for permanent hire positions. She is active in her church, Lamb of God Lutheran, where she serves on various Ministry Teams and attends Bible Studies. She is previously the Vice President of the NE Houston Chapter Board of Thrivent Financial. Karen is a native Houstonian and is active in the local community supporting charities such as Make A Wish, CureFest, Family Promise and others. She has been married to Layne since 1981, and they have a son, daughter-in-law, daughter and two grandchildren! They are big sports fans and avidly follow the Rockets, Astros and Texans. They enjoy spending time with friends and family playing games, boating and golfing, and also enjoy travelling.